The new DgSecure Monitor tool from Dataguise is the first real-time monitoring solution focused on sensitive data elements with support for both big data platforms in the cloud and on-premises data repositories, the company says. DgSecure essentially cuts through the clutter provided by most traditional IT monitoring solutions. Such clutter, Datagiuse notes, can produce an unmanageable amount of alerts and result in months of analysis before spotting a breach. In constrast, DgSecure Monitor focuses only on the sensitive data your organization cares about. DgSecure Monitor is part of the DgSecure security platform and works with DgSecure Detect to find and monitor sensitive data as soon as it’s created. You’ll create data security governance policies using DgSecure Monitor’s built-in or custom templates. Plus, DgSecure uses machine learning and behavioral analytics to generate alerts when users deviate from a typical behavioral profile. Dataguise has introduced DgSecure Monitor for the monitoring, detection, and alerting of potential breaches of sensitive data across the enterprise and the cloud. DgSecure Monitor keeps track of who is doing what to an enterprise’s sensitive data, and delivers real-time, policy-based alerts whenever unauthorized access or unusual access behavior occurs. Unlike traditional IT monitoring solutions for firewalls, networks, or applications that can produce an unmanageable amount of alerts and result in months of analysis before a potential breach is spotted, DgSecure Monitor is focused solely on safeguarding the sensitive data an organization truly cares about—cutting through the clutter to detect real threats in just minutes. In order to precisely monitor access and activities associated with sensitive data such as email addresses, Social Security numbers, credit card numbers, or other confidential or personally identifiable information (PII), enterprises must know where that data lives and moves at any given time—a growing challenge in the era of big data and cloud computing. That’s why DgSecure Monitor is tightly integrated as part of the Dataguise DgSecure® data-centric security platform, a highly automated, out-of-the-box solution that offers around-the-clock detection, protection (via masking or encryption), and monitoring of sensitive data across the extended enterprise. While it can be used standalone to monitor declared sensitive data, DgSecure Monitor works harmoniously and continuously in real time with DgSecure Detect™ to discover and monitor sensitive data from the moment it’s created, even when the enterprise may not realize it’s there. Dataguise also announced today that it was awarded United States Patent number 9,268,947 on February 23, 2016 for its method and system for “providing a global view of sensitive information across an enterprise.” While the DgSecure platform has always had task-based alerts that notify users whenever discovery, masking, encryption, or reporting processes are completed, the user-behavior-based alerts of DgSecure Monitor make a revolutionary advancement and meet a fundamental need in the protection of sensitive data today. Is Data Centric Security the Future? This will be a particularly timely eWEEKchat conversation on how security is moving ahead in the nascent IoT age. On Wednesday, March 9, at 11 a.m. PST/2 p.m. EST/7 p.m. GMT, @eWEEKNews will host its 41st monthly #eWEEKChat. The topic will be “Is Data-Centric Security the Future?” It will be moderated by Chris Preimesberger, who serves as eWEEK’s editor of features and analysis. Tweetchat handle: Use #eWEEKChat to follow/participate, but it’s easier and more efficient to use real-time chatroom links. Chatroom real-time links: We have two: http://tweetchat.com/room/eweekchat or http://www.tchat.io/rooms/eweekchat. Both work well. Sign in via Twitter and use #eweekchat for the identifier. Data-centric security is designed to protect data at all times while allowing it to flow freely and securely anywhere, without the need for plug-ins, proxies, gateways or changes in user behavior. This defines a large trend in IT in which the primary function is the management and manipulation of data itself, rather than security focused primarily on the application, networking or storage. This type of security follows the data item or store around wherever it travels—on-premises or off. This is as close to airtight a concept as there can be when it comes to securing the Internet of things, many industry observers say. With the advent of virtualized IT systems, the worldwide explosion in the use of cloud and managed services, and the increasing usage of data storage and big data analytics inside clouds, data is often separated in so-called “chunks” for security purposes and spread in various locations. Later, when the entire file is needed, systems reassemble these chunks—usually with a just-in-time methodology. All this movement has made conventional security a central problem, and data-centric security—centered around government-level encryption—may have come to the rescue as the only way to handle all this travel in a reliable fashion. Some of the leading innovators in this space include Thales Security, which recently bought Vormetric for this purpose; IONU, whose data isolation platform creates a separate and secure zone where data is insulated from the outside world; Dataguise, which specializes in data-centric security for NoSQL server shops; and Vera, which does both file-centric and data-centric security. –What do you personally see as the No. 1 advantage of using data-centric security? –What other companies do you know will become data-centric security players in 2016? –Do you see, or do you not see, data-centric security becoming mainstream in 2016? Join us March 9 at 11 a.m. Pacific/2 p.m. Eastern/7 p.m. GMT for an hour. Chances are good that you’ll learn something valuable. Dataguise, which provides data-centric discovery and data protection for Hadoop and other big data environments, announced integration with Microsoft Azure HDInsight to support improved security and compliant Hadoop deployments on Microsoft Azure. Dataguise DgSecure helps organizations safely unlock the benefits of Big Data with a precise security solution for detecting, auditing, protecting, and monitoring sensitive data assets in real time. To learn more about Dataguise and how it can improve your Hadoop deployment on Azure, read the press release. Today at the Microsoft Worldwide Partner Conference, we are announcing a new partner program for Hadoop independent software vendors (ISVs) to expand their offerings on the Microsoft Azure cloud. This will allow customers of Azure HDInsight to benefit from the ecosystem of big data ISVs who have created technologies that help make Hadoop more secure, have increased governance, make it easier to use, and give the ability to prepare your data for future analysis. These solutions make BI professionals, data stewards and engineers more productive working with Hadoop by incorporating an ISV application with HDInsight. This program is designed to help Microsoft certified vendors achieve commercial success on Azure with solutions they’ve built for Hadoop. With the availability of HDInsight on the Linux platform, partners who have built their solutions on Linux can easily deliver their solution on Microsoft Azure. AtScale is a BI on Hadoop software solution. It allows business users to enjoy multi-dimensional and ad-hoc analysis capabilities on Hadoop data without any movement or client drivers, at OLAP speed and directly from standard BI tools like Microsoft Excel, Power BI and Tableau. AtScale masks the complexity of Hadoop by exposing powerful virtual cube interface that users use to model, slice and dice data. Enjoy fast interactive performance, with automatic aggregations, query optimization and security. BlueTalon brings fine-grained access control and enterprise-grade data security to Microsoft Azure HDInsight. Using BlueTalon with HDInsight for data entitlement, organizations can adopt Hadoop in the cloud with the piece-of-mind that their data will be secure and that user access to sensitive data will be enforced at a granular level. BlueTalon’s advanced features such as data masking also enable full regulatory compliance around PII and industry regulation including HIPAA, PCI, SOX, FINRA, and more. Concurrent provides a leading data application infrastructure that help organizations create, deploy, run and manage data applications at scale. Concurrent’s flagship solution is Driven that is designed to accelerate the development and management of enterprise data applications. Dataguise is a leading provider of data privacy protection and compliance intelligence for sensitive data assets stored in both Hadoop and traditional repositories. It allows organizations to maintain a 360 degree view of their sensitive data, evaluate their compliance exposure risks, and enforce the most appropriate remediation policies, whether the data is stored on premises or in the cloud. Now integrated with Microsoft Azure’s HDInsight Hadoop distribution, Dataguise DgSecure™ helps organizations safely unlock the benefits of big data with a precise security solution for detecting, auditing, protecting, and monitoring sensitive data assets in real time. DgSecure makes data security for HDInsight painless by delivering a one-stop, out-of-the-box solution with the highest levels of protection. Datameer empowers business users to easily extract insights from big data. With seamless integration into the Microsoft ecosystem and self-service big data integration, preparation, analytics and visualization, Datameer democratizes big data. Native on Hadoop, Datameer comes with extensive data connectors and rich preparation and analytics functionality. With comprehensive features that are open-architected and forward-compatible, Datameer ensures you don’t have to choose between self-service big data analytics and a robust, enterprise-ready big data architecture. DataTorrent provides a leading real-time big data analytics solution that uses a high performing, fault tolerant unified architecture for batch and stream processing. The joint solution from DataTorrent and Microsoft Azure HDInsight allows organizations to do real-time analytics with a proven platform that reduces time to market, development costs, and operational expenditures. DataTorrent RTS Community Edition can be run in an unlimited number of HDInsight nodes for an unlimited time period at no cost. Trifacta is a leading data wrangling solution for big data allowing you to easily transform and enrich raw, complex data into clean and structured formats for the purpose of exploratory analytics. The promise of Big Data is that it provides a data lake where organizations are able to land data of all shapes and sizes. However, the process of moving raw data and making it usable for analysis is incredibly difficult and inefficient. The joint solution from Trifacta and Microsoft Azure HDInsight enables business and IT departments to partner in driving their organization’s efforts transforming, cleaning and enriching data for Hadoop to process it in the cloud. Waterline Data provides a data catalog solution that enables both a governed data lake as well as provides an automated data catalog as a shared service across multiple data prep, data discovery, and exploratory analytics tools. As a result, Waterline Data gives agility and speed to the business to find the best suited data quickly without manual exploration and coding – staying above the waterline of the data lake, while enabling IT to provide a data layer that is governed and can stay ahead of the need for self-service access to data. Zoomdata provides fast visual analytics for big data. Built from scratch for speed, Zoomdata is a modern, cloud-scale application. It is easy to use for business analysts who are not BI or data science experts and can be embedded seamlessly in other applications. Zoomdata uses a patented micro-query architecture delivering results on billions of records in seconds and gives users a single plane of access for bridging old data and new data. 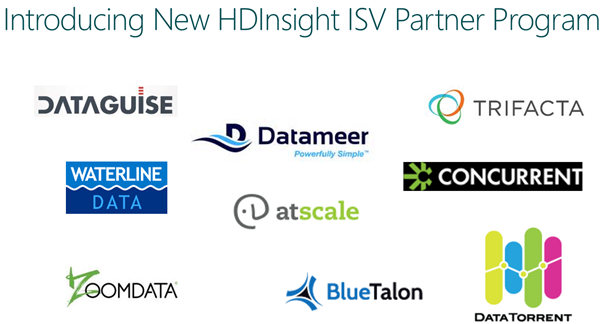 HDInsight customers can directly contact these partners today. Additionally, we are working on a showcase section in the Azure Marketplace for HDInsight. Finally, for partners that want to join this program please email [email protected]. The platform provides multi-cluster support from a single integrated dashboard with integrations for Cloudera, Hortonworks, MapR, and Pivotal HD. Dataguise announced the launch of DgSecure 5.0, which allows businesses to scale sensitive data discovery and automate data protection. The new software version adds security access monitoring and entitlement functionality that allow administrators to define and audit sensitive data interactions. The platform provides information about the status of sensitive data, with greater control over which users can view the information. It accomplishes this by combining sensitive data discovery with integrated Access Control List (ACL) permissions as defined in Apache Sentry, Apache Ranger or MapR’s ACLs. The platform provides multi-cluster support from a single integrated dashboard with certified integrations for Cloudera, Hortonworks, MapR, and Pivotal HD. It also provides advanced encryption key management and integration with Safenet, RSA and Thales, featuring industry-standard Key Management Interface Protocol (KMIP) support. Other enhancements include automated cell-level encryption (AES and FPE) capabilities for Flume, Sqoop, and HIVE API, and automation features through Oozie support to facilitate full job scheduling, automation of discovery and protection through security workflow scripting and command line interfaces. 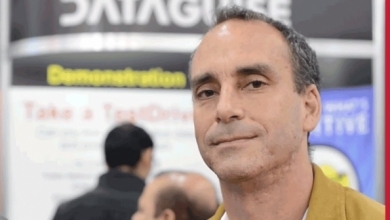 Big data security firm Dataguise is scaling up its data discovery and protection platform into the cloud with the release this week of DgSecure 5.0. The platform is designed to help organizations scale discovery and data protection automation across both traditional data repositories and Big Data architectures on-premises and across cloud platforms. The new version of DgSecure adds the ability to run virtually in the cloud to support Hadoop environments, including visibility for big data repositories in AWS, Amazon EMR, Azure and HD Insight. It was also enhanced with access and entitlement capabilities by integrating existing data discovery functions with Access Control List (ACL) permissions defined in Apache Sentry, Apache Ranger or MapR ACLs, for complete entitlement control within Hadoop. Additionally, there’s now multi-cluster support from a single integrated dashboard with certified integrations for Cloudera, Hortonworks, MapR, and Pivotal HD. Just about everybody agrees that Hadoop is one of those transformational technologies that comes along about twice a decade to change the way everyone thinks about enterprise IT. The challenge facing solution providers and their customers now is figuring out exactly what to do with it. Gartner, for example, recently published a report that goes so far as to suggest that Hadoop adoption is slowing as IT organizations grapple with how to apply Hadoop in production environments. A big reason for that, suggests a separate survey published this week by Software AG, is the simple fact that most organizations don’t have business processes in place that can absorb massive amounts of data in real time. At the core of the debate is how Hadoop will be applied today vs. tomorrow. 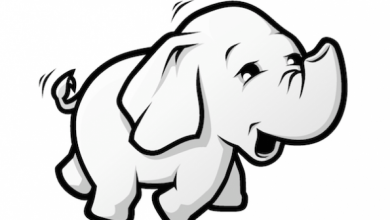 As an inexpensive mechanism for storing massive amounts of data, Hadoop has no equal. The question then becomes whether Hadoop is merely an extension of existing data warehouse investments to access a “Big Data lake” of information or whether Hadoop will become that actual data warehouse itself. Most IT organizations spend a fortune on data warehouses and would surely love to eliminate that expense. But the odds of actually doing that at scale anytime soon are, of course, are near zero given the relative immaturity of the Hadoop platform. As is often the case there is also another third side that solution providers need to consider. MapR Technologies, a provider of a distribution of Hadoop, made a case this week at the Hadoop Summit 2015 conference that it will be only a matter of time before transaction processing and analytics will converge on top of Hadoop. 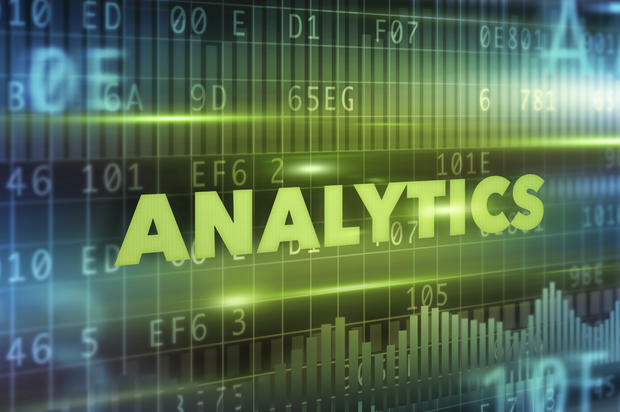 By taking advantage of in-memory computing, the whole notion of how operational analytics are delivered inside the enterprise will be turned on its head, said Jack Norris, chief marketing officer at MapR. To back up that effort, MapR also announced its technology partner alliance program now includes Centrify, Dataguise, Datameer, HP Security Voltage, Informatica, Protegrity, Syncsort, Talend, Teradata, Waterline Data and Zaloni. As is often the case with any emerging technology, all three of these visions of how Hadoop will be used inside the enterprise no doubt will come to pass at different points in time in the future. The challenge facing solution providers that want to play in the big data space is finding a way to map out a big data journey that is plausible enough today for organizations to want to make investments that will result in better business decisions tomorrow. Big data analysts spend most of their time ensuring that sensitive data fields are secure. Read about solutions that could allow analysts to focus more attention on algorithms and reporting. The 80-20 rule, originally developed by management consultant Joseph Juran, is a rule of thumb that is commonly used in business. For example, 80% of a company’s business is conducted by using only 20% of its available analytics reports, or 80% of a company’s product returns are generated from 20% of its products. This 80-20 rule also burdens big data analysts when they have to apply security rules to big data. The 80-20 wreaks havoc because many big data analysts spend 80% of their time in the data prep process, and a large part of this effort is ensuring that sensitive data fields embedded in big data are secure before the data is imported into analytics work. This leaves analysts only 20% of their time to work on analytics algorithms and reporting for the end business. When big data comes in from websites and Internet of Thing (IoT) sources like machines, it comes in completely unedited. This includes the roughly 5% of highly sensitive data elements snarled up in this data, and also the reams of raw logging data, clickstream data, sentiment data, and general jitter that you have to make your way through to determine where security controls are needed. The data enters at breakneck velocities, making data cleaning and security processes even more difficult. To compound matters further, businesses want to be able to blend in data from different data sources for their analytics. This means that every contributing raw data source must be cleaned and prepped for quality and security before it can be committed to a central data repository for use in analytics or used in live streams for real-time analytics. “The most effective way of attacking the big data security challenge is by adopting a data-centric approach to securing and prepping your data,” said Jeremy Stieglitz, vice present of products for Dataguise, which sells security software that detects, audits, protects, and monitors sensitive data assets in real time. “We don’t think that the answer is coding to an API (application programming interface) and developing applications to handle it.” Instead, Dataguise uses two methods for securing big data. Masking: A data analyst can “mask out” a security-sensitive data element so it is redacted from all incoming big data streams that contain it. Once a data mask is installed, it is more or less permanent. Encryption: A data analyst can encrypt security-sensitive data elements so they cannot be seen or used. Encryption offers flexibility that masking doesn’t, because at any time you can choose to decrypt a data element to make it available for analytics. Encryption controls can also be used with security permissions across the company that allow certain power users access to the data, while classifying the data as off-limits to general and casual users. Being able to selectively apply security restrictions to incoming big data streams is critical, because privacy is a concern to businesses and customers. Rigorous security regulations must also be observed in industries such as finance, insurance, and healthcare. There is the additional danger that employees can exploit their access to sensitive data in ways that can expose companies to liability. 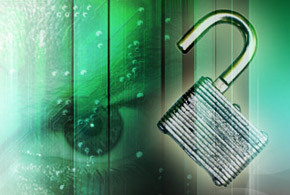 As big data liability and governance concerns grow, so will the demand for securing this data. A security tool that enables sites to do this by flagging only the data fields that must be secured (which are typically four to five percent of total data fields) can be run against incoming big data without unduly impacting system performance. “It is good timing for big data security tools, because the big data security discussion has moved into corporate boardrooms and also into dialogues with company customers,” said Stieglitz.